In the Thought Leaders Think Tank community, we talked about flexibility and thought leadership. As entrepreneurs and leaders we can become very inflexible. We get into a “It’s my company and it needs to be done this way!” kind of mindset so easily. But that’s the exact mindset that can really hold us back. In this episode, we talk about how leaders really need to learn how to be more flexible in their business and personal lives, and we address ways to allow that to happen. 00:00 – 2:15: Welcome and Introduction! 9:06 – 21:07: Why do so many leaders struggle with flexibility? 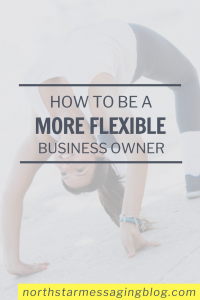 21:07 – 35:04: What does flexibility in a leader actually look like? 35:04 – 50:56: When is flexibility serving you and when is it not, and how we can actually tell? 50:56 – 56:33: Ways you can make flexibility easier.